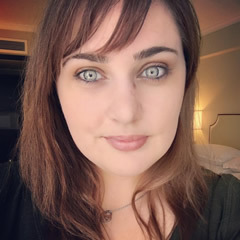 If y’all did not know my husband currently works for a coffee shop – I asked him what is the most popular item on their food menu and he said the Chocolate Croissant – which does not surprise me. 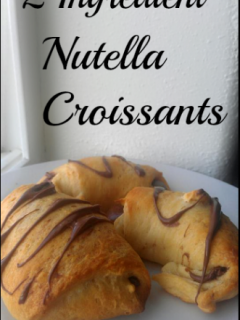 Chocolate + Croissant = Something Magical. It also comes with a “magical” price tag 😉 So today I am tackling this yummy treat – I am making it yummy, easy to do, and nice on your wallet! It is quick to make to boot! Preheat Oven To 425 and beat the egg in a small dish. 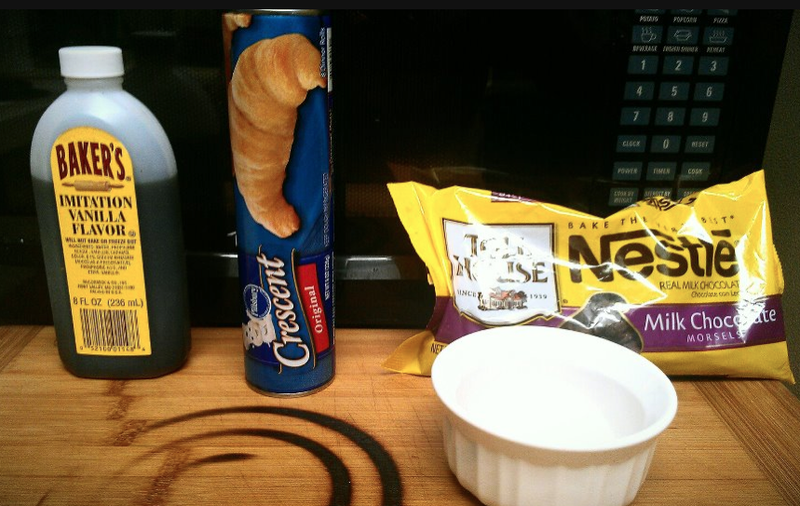 Unroll Crescent Rolls – with the larger section facing you. Place about 25 chocolate chips. You should use up about 3/4ths of the chocolate chips once you are done. Brush a small amount of vanilla over the chocolate chips – this is optional. Brush egg on the croissant ( this will give it that amazing brown coloring. Please note you will only be using a small portion of the egg 😉 ). Melt the rest of the chocolate chips in the microwave. Heat the chips for only 30 seconds at a time so you will not burn the chocolate. 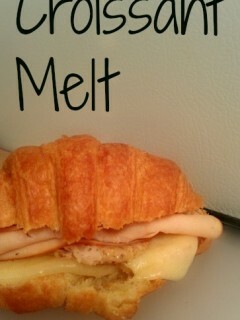 Drizzle melted over cooked croissants. Here is the pretty finished product. 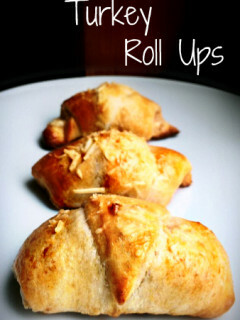 Unroll Crescent Rolls - with the larger section facing you. Place about 25 chocolate chips. 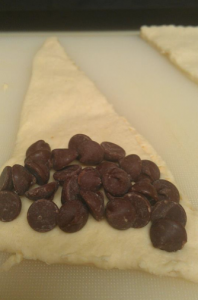 You should use up about ¾ths of the chocolate chips once you are done. Brush a small amount of vanilla over the chocolate chips - this is optional. This recipe was adapted from My Wooden Spoons. Thanks for the recipe. Looks like something even I can do. We are all chocolate lovers so I may just dig right in. Have a great day! 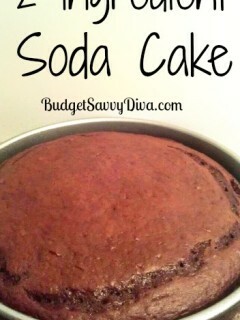 This looked SO good….my daughters went to the store and are making it for dessert!! These are also good with some cream cheese in the middle with the chocolate chips. 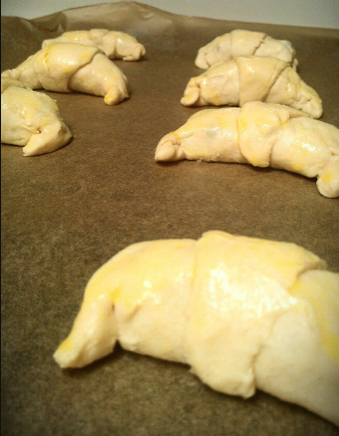 For one package of croissants I would use half a package of softened cream cheese and mix up with 3-4 TBLSP of sugar. 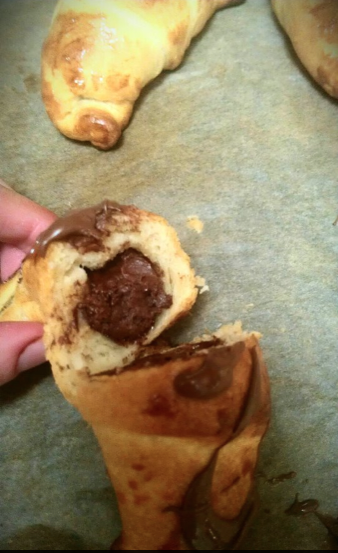 (depending on how sweet you want it) Put the cream cheese mixture in the middle of the croissant before you put on the chocolate chips. Oh, btw…my daughter made a couple of them with marshmallows and chocolate chips…she is dancing through the kitchen with glee! How about using the new Philadelphia chocolate spread instead of cream cheese with the chocolate chips? 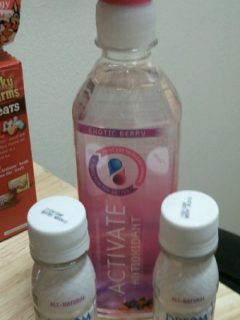 I’m off to give it a try…. yum!! you can also make these using 3 hershey’s kisses (two facing up, one down, to form a “log” of choc). the dark choc kisses are the best!!! We eat these on Sunday Mornings about once a month. You can also use Hershey Bar squares. My big teenage boys eat these up! Nutella works great also. I made these tonight and unfortunately burned the bottoms a little bit 🙁 If you have an electric oven, I would suggest altering the time, maybe more like 10-15 minutes. Even still, they were a hit with my roommates!! Great recipe! Just made these, yummm! I had some left over pie dough and made little turnovers, next time I will use crescent rolls. Delicious! Thank you for sharing! I have also used Reese Peanut Butter Cups and brushed the top with a simple syrup and sprinkled with powdered sugar. AH-MAZE-ing! My kids loved it ans it was so decadent. I just tried this, and aside from a few burns (from me placing the tray too low in the oven – it was my first time using the one in my new apartment. 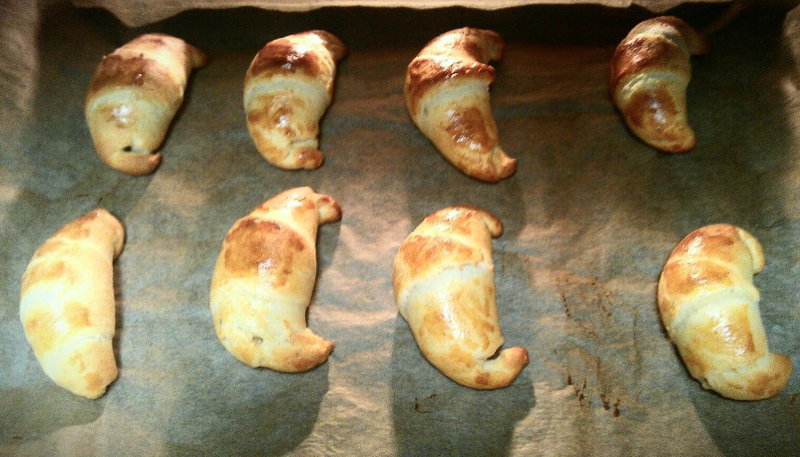 Oops) they taste great! I’m def gonna try them again next week and place them HIGHER UP to stop any burning haha! Thanks for the recipe! 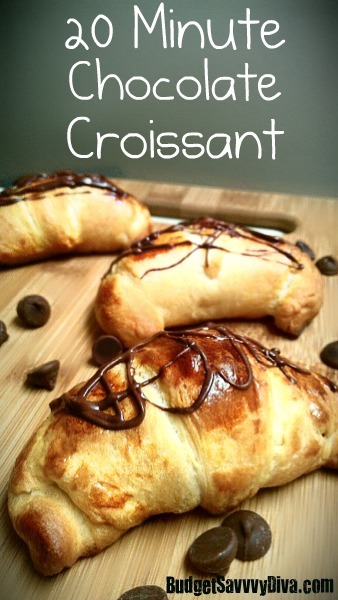 I had chocolate croissants down in Peru and I LOVED them! They are very tasty. Only issue I had was the temp and time. I had to take mine out at 12 minutes – they were VERY brown but thank goodness not burned. Next time I will try different temp. I’m sure different ovens, different times, different temps. Thank you. 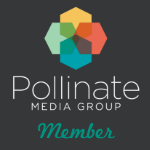 I enjoy following this site on Pinterest!! Thanks for the recipe. This would really curb that chocolate craving I’m having. Wow I love it. Thank you so much! Has anyone ever had the chocolate or cherry or apple turnover’s at arby’s. ?? OMG! They are so good, but $1.00 each. The grocery store I go to has the chocolate croissants I think there are 8 per package for $6.00. They are good, but this would be cheaper and yummier. Brilliant!! 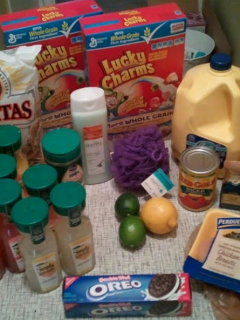 I can’t wait to try this super simple recipe (definitely my type of recipe) and I have all the ingredients on hand. I think these may be tomorrow’s breakfast! This is so good and so quick. I usually have a package of crescent rolls in the fridge. Since I LOVE chocolate anything, I make these often. Hubby also like it with cinnamon sugar but I prefer chocolate. Maybe cook for 8-10 minutes. Even at 10 minutes mine came out pretty brown.